The goDog® RhinoPlay™ line is made from a unique material called PopFoam NT™. This makes for a dog toy that is incredibly strong but still very lightweight. Dogs will love the feel of this material and pet parents will love the durability. 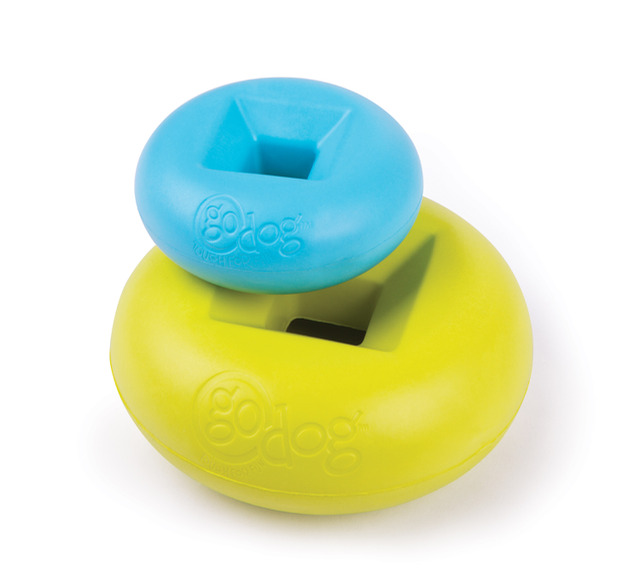 The Cirq™ is a fun round toy shape with a square center. A channel around the underside of the toys makes it easier for dogs to carry and is a great place to hide treats!